GeoEdges Inc. provides detailed and accurate subsurface geology at your fingertips in ArcGIS, GeoGraphix, Petra and all other ESRI Shapefile compatible mapping applications. 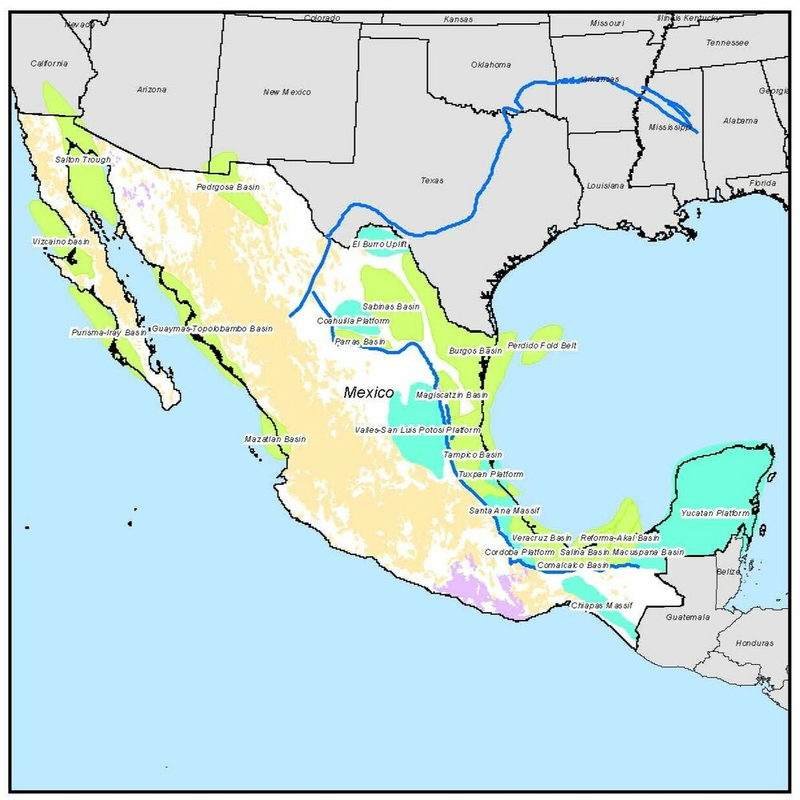 Includes geological edges for Burgos, Sabinas, Tampico, Veracruz, Macuspana, and Jurassic Salt Basins, Tuxpan Platform, and Villahermosa Uplift. Includes field outlines, structural features, outcrops, facies and reservoir trends, structure and isopach maps, shale gas trends, and other resource plays. Full set of ESRI Shapefiles compatible with most mapping applications (Petra, GeoGraphix, etc.). Petra Thematic Mapper Projects, GeoGraphix Projects, ArcGIS Projects. Hard copy prints of key maps. Regional cross-sections in PDF format. Access to ongoing updates and additions to mapping, technical support.